I'm a little young for the original run of the Banana Splits but their reruns are a really happy early memory. 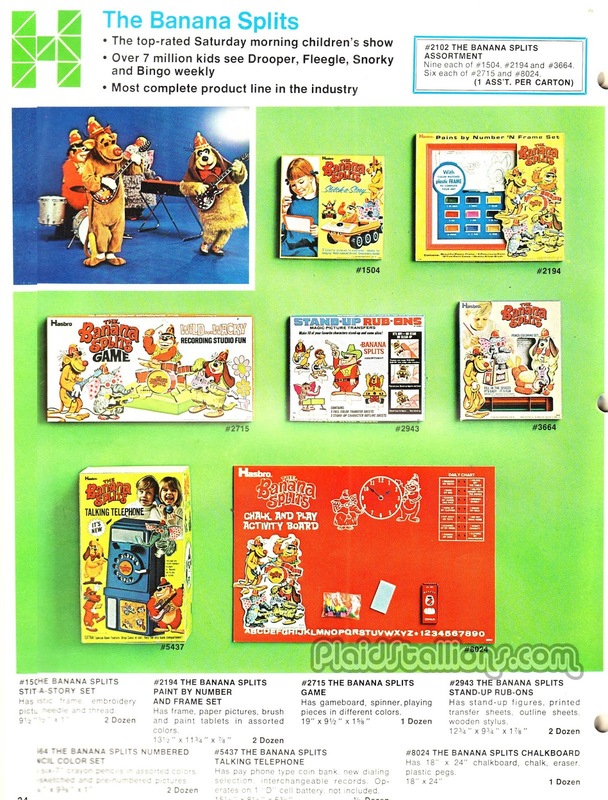 So I totally dig these pages from the 1969 Hasbro catalog, I never knew how much merch they got. I especially would have loved these! I'm a sucker for bendy figures and these are wonderful. Having a bad day and this post really cheered me up! 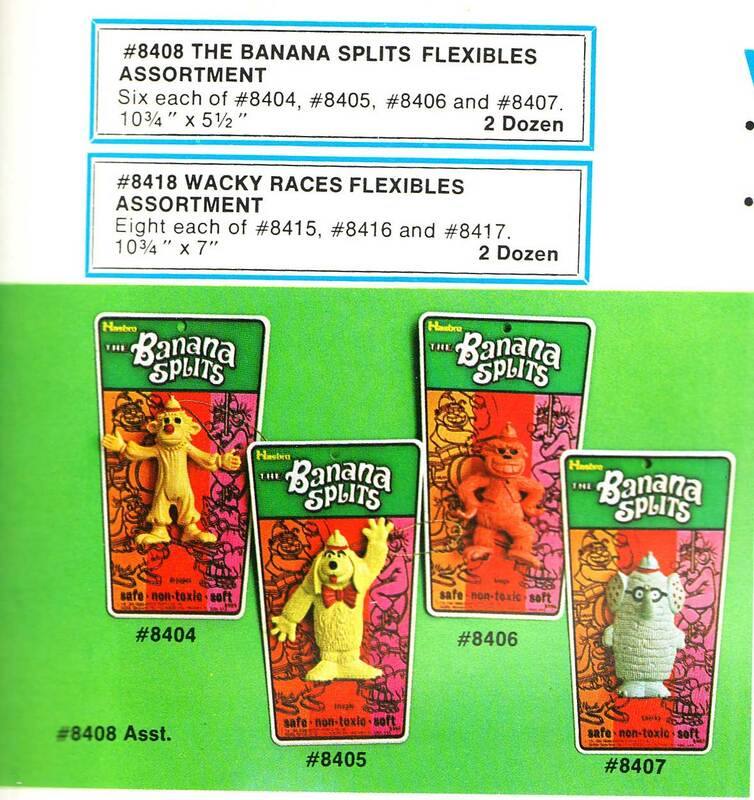 I remember rushing home from school to watch Banana Splits reruns. I would have begged endlessly for any of these toys!